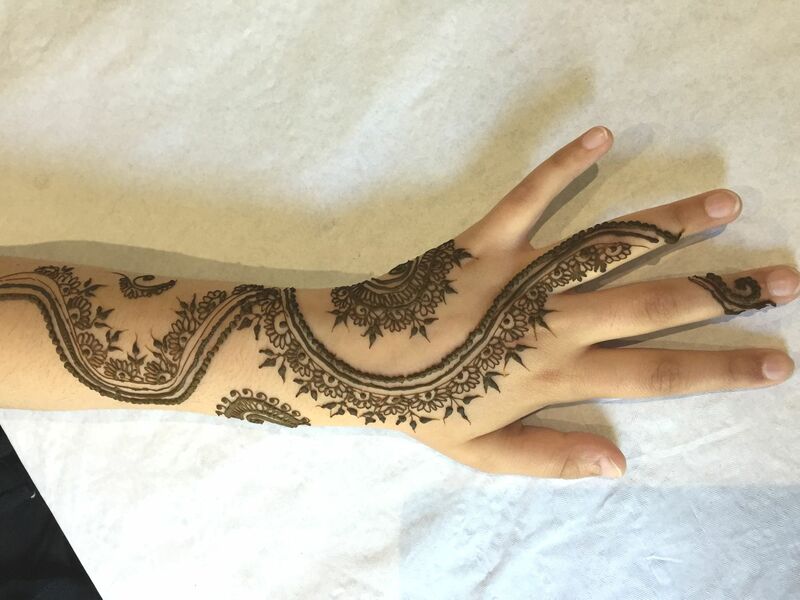 Henna is a flowering plant. The leaves are dried and ground into a fine powder. 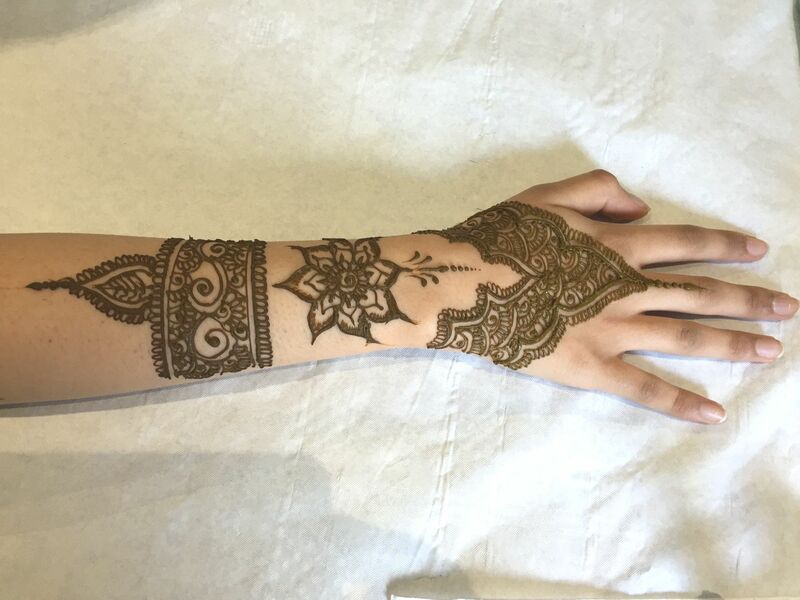 This powder is mixed with water, eucalyptus oil, tea, coffee, and then you apply the henna to a surface like the palm of your hand, bottom of your feet, or anywhere on your body. 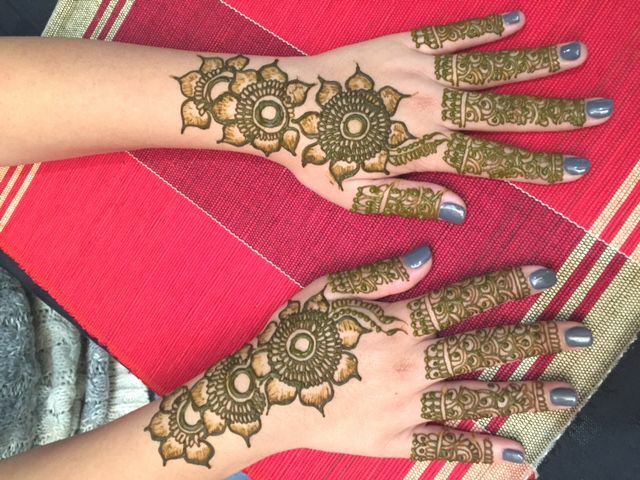 Leave the henna on for as long as possible, up to 48 hours. When it dries and crumbles off, the skin will have darkened to auburn, orange, red, or brown. 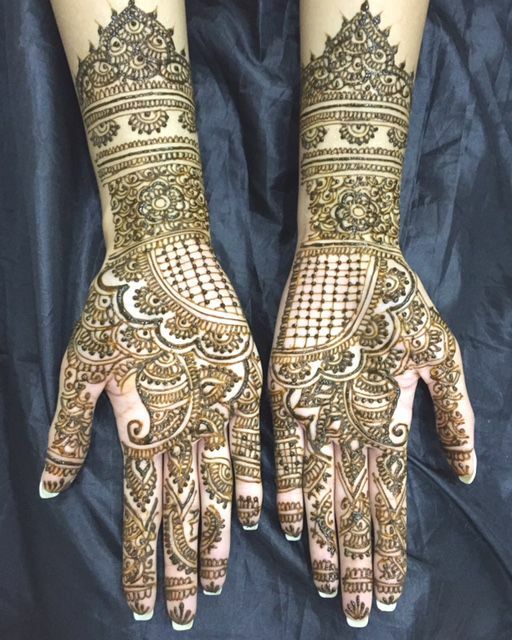 The term "Mehndi" is the Indian word for Henna, and it is also the term used to describe the art of applying henna. It is also used for dying hair and to colour nails. 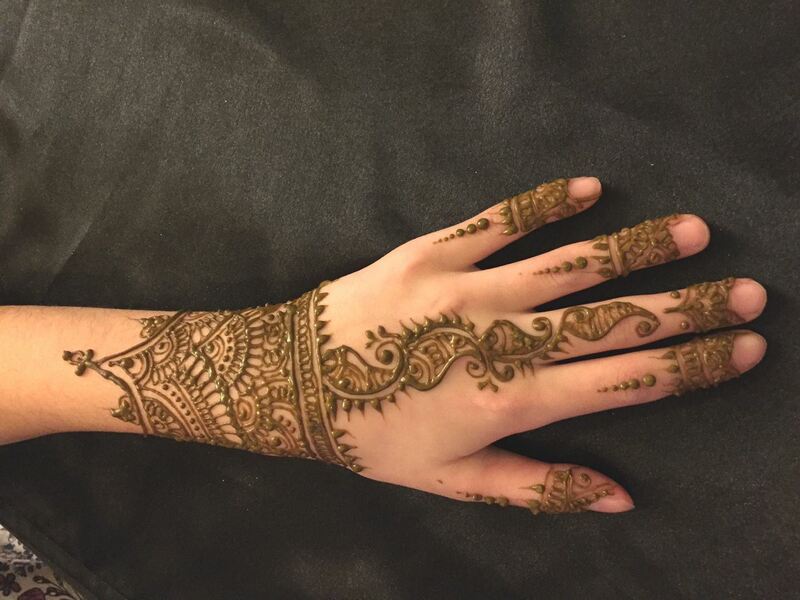 Henna is regarded to be 100% safe to use on the skin and there are no chemicals added. Traditionally it was used for its medicinal purposes. Allergies are only likely to occur when the fresh natural powder has been mixed with chemicals or synthetic products which may lead to rashes, scars and skin reactions. 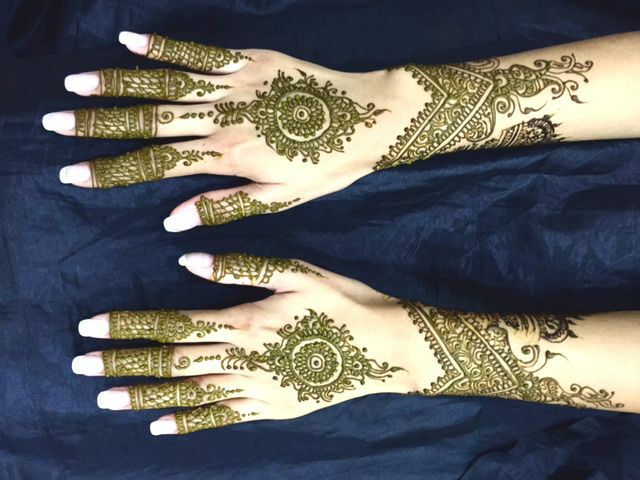 Henna is NOT black. 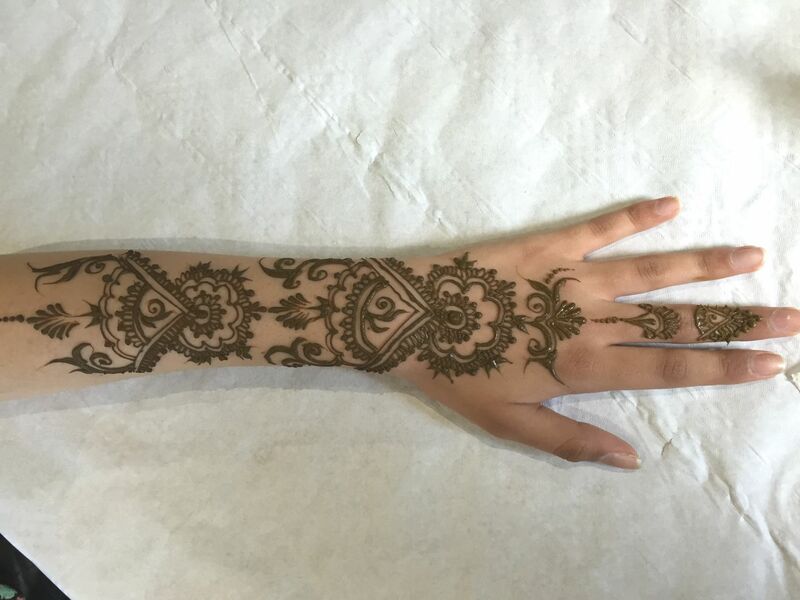 If someone offers you something called "Black Henna", it is NOT henna. 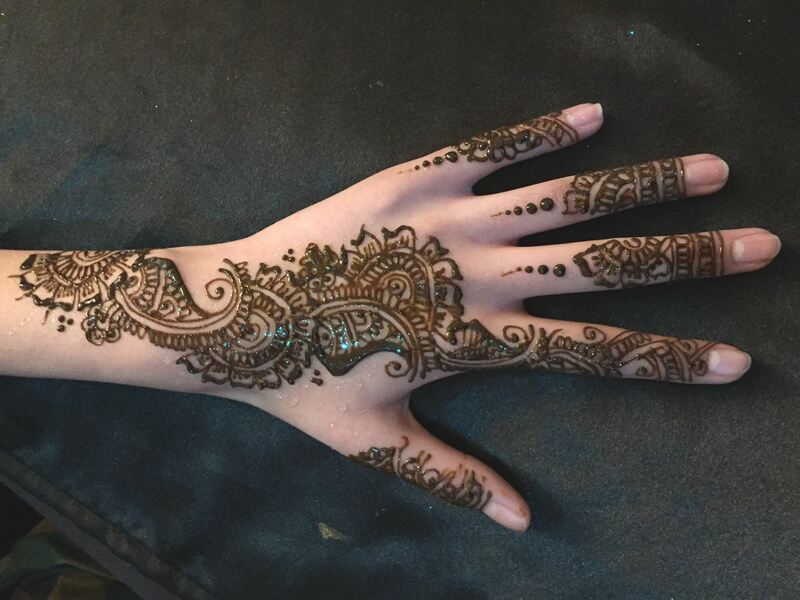 If someone has something that stains skin black, it is NOT henna. The black dye is probably para-phenylenediamine, also known as PPD, and that can hurt you and cause severe reaction in some people. 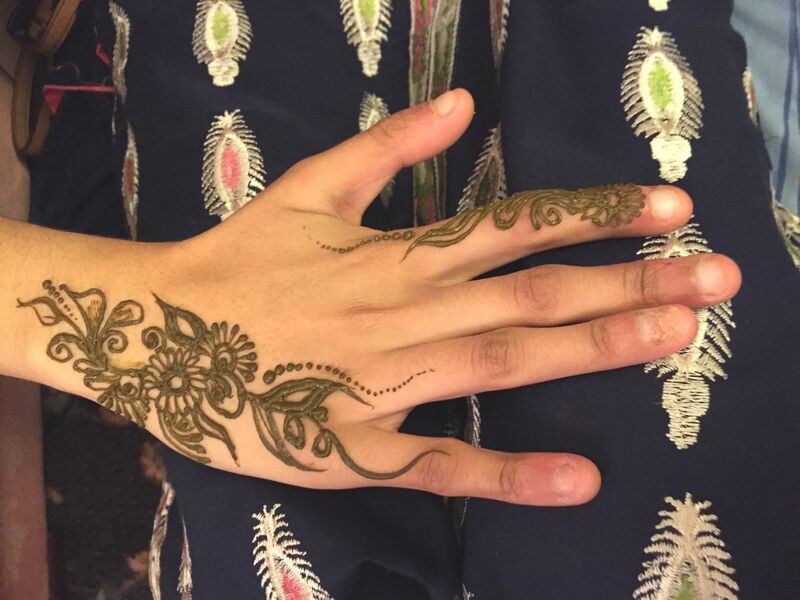 Natural Henna does not give a dark stain instantly. It takes approx. 2 days for it to reach to the dark stain. 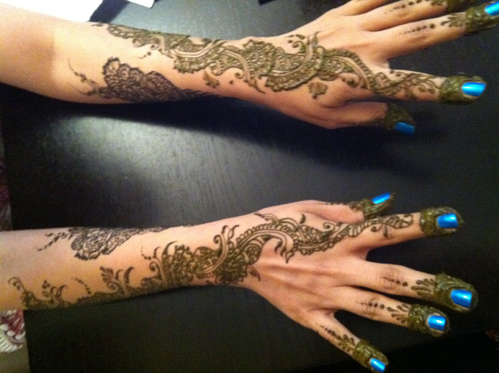 You should therefore apply the henna 2 days before your event. 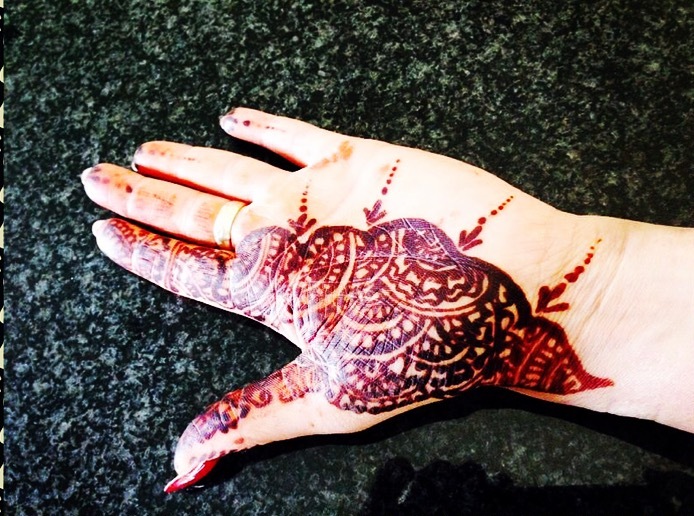 I use Natural henna powder and add to this lemon juice, sugar and 100% pure essential oils. 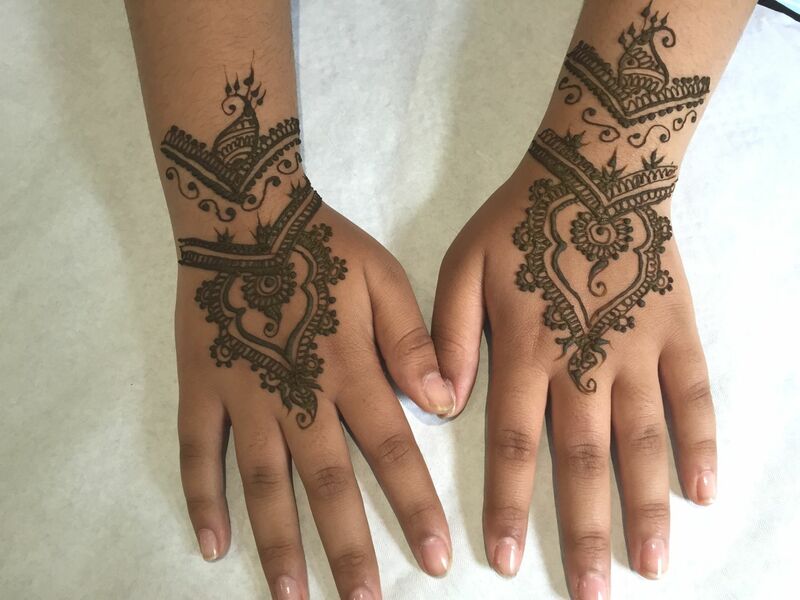 This Henna is very safe to use and without any chemicals. 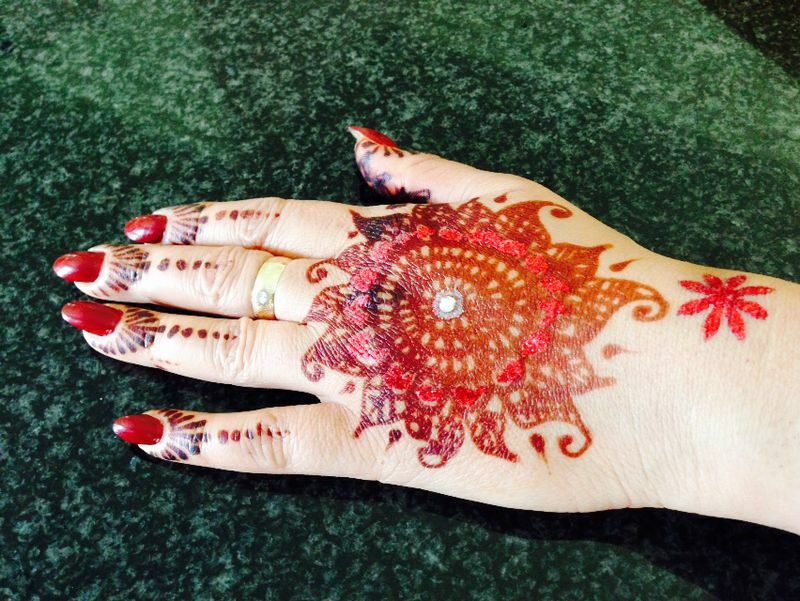 Good after-care is very important to get the best stain out of your henna designs. 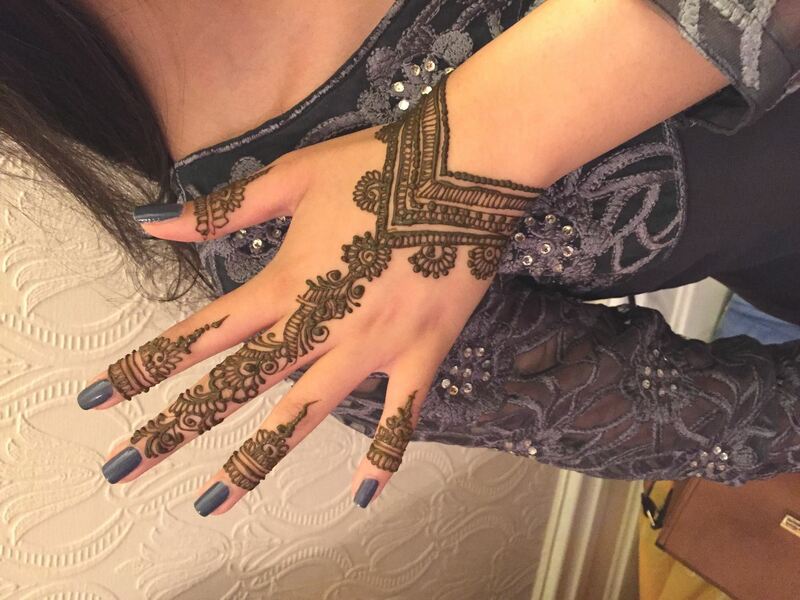 The henna needs to stay on your skin for around 4 – 6 hours or overnight. It is first sealed with a mixture of equal quantities of lemon juice and sugar to prevent it from flaking off. Avoid water contact for the first 24 hours. These simple steps will assuredly result in a beautiful, deep, and rich stain. 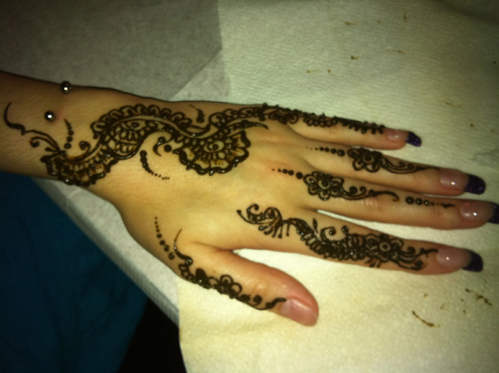 See attached pictures: Stain progression after keeping henna on for 48 hours. 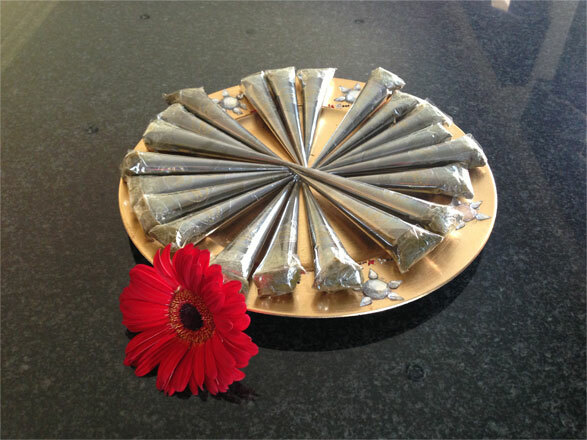 My mendhi cones are made and packed freshly using the highest quality mendhi powder. Available to purchase at £2.00 each. 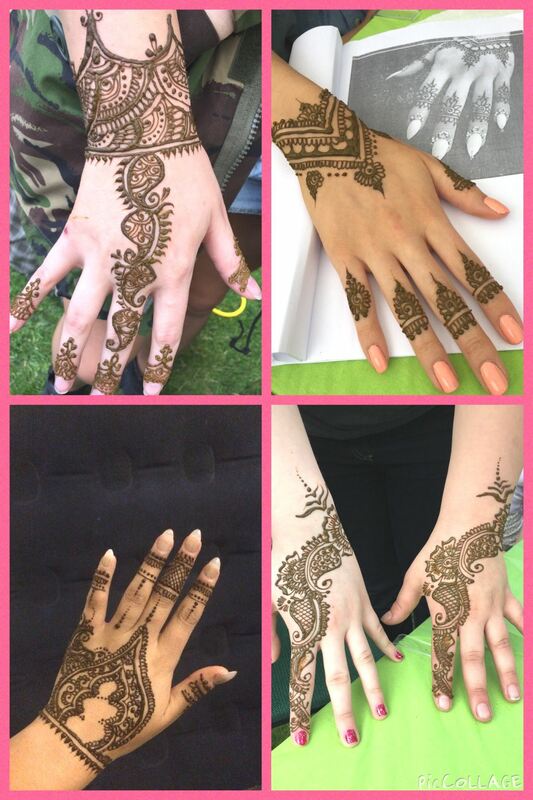 Mendhi cones is 100% natural and is made using natural oils and water. Postage and packaging prices apply. 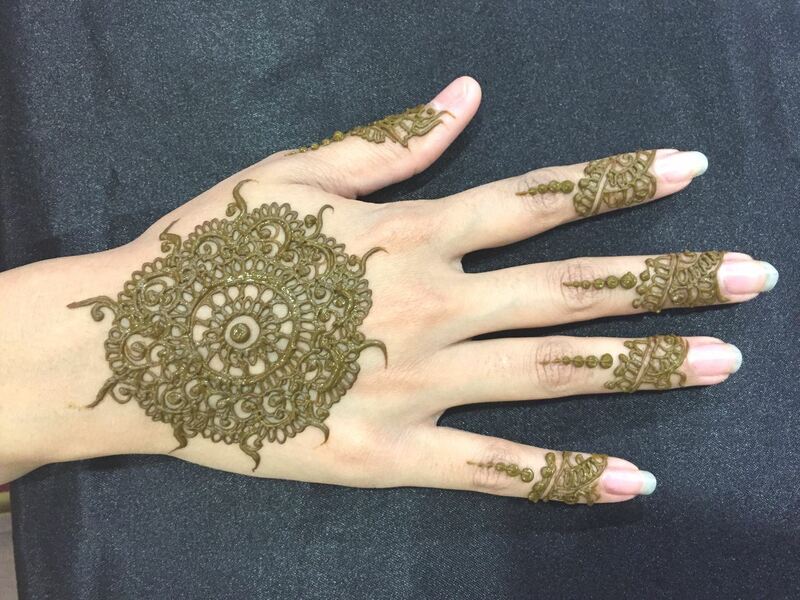 Glitter mendhi gels are available at a cost of £5.